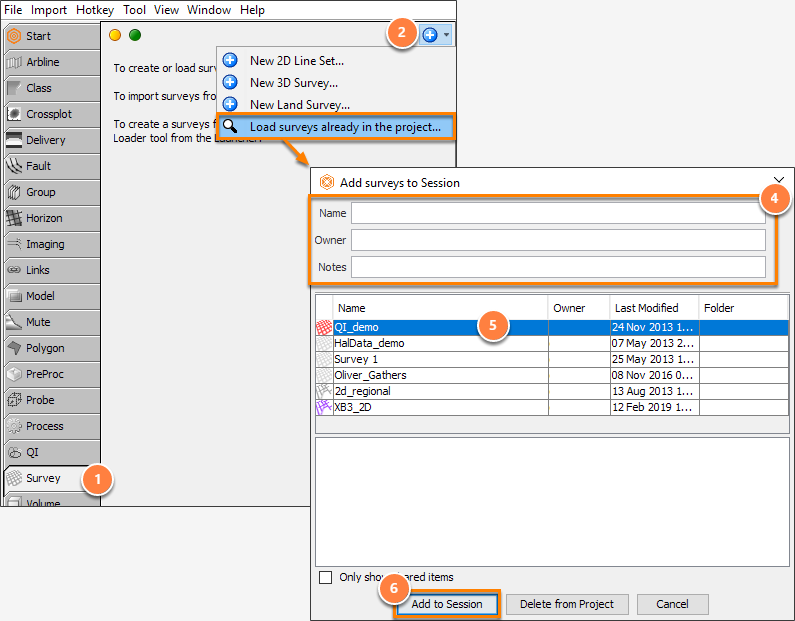 When you start a new session in Insight, the first step you need to do is to add a survey from the project database or import a survey file from the project directory (see Importing a Survey). To create a survey, see Creating a Survey. Click the blue (+) icon and select Load surveys already in the project. The Add surveys to Session window will be displayed. To search for a survey by Name, Owner or Notes, enter text in the respective boxes. Select one or more surveys (CTRL + survey or SHIFT + survey). Note: If the survey is not in the database, see Importing a Survey to import a survey into the project.